The Obermeyer Kenzie Ski Jacket is made for young adventurers who need a reliable top layer. They'll keep dry with moisture wicking HydroBlock® Sport technology. 140gm of EpicLoft™ insulation through the body is sure to provide a warm and cozy experience. The integrated water-resistant powder skirt with Snap-Away™ feature keeps snow and cold air out, and an extra soft fleece-lined collar provides comfort when in motion. The Obermeyer Kenzie jacket is equipped to perform and ready to become part of the adventure. Zippered, tricot-lined handwarmer pockets are convenient when they're outside and need to keep those hands toasty warm. Adjustable cuffs with inner stretch thumbhole gaiters make for a snug and custom fit. "Will I be able to return this jacket if it does not fit?" "Thank You For Your Inquiry. Yes, please see our Return Policy for information on how. We Hope This Information Helps!" 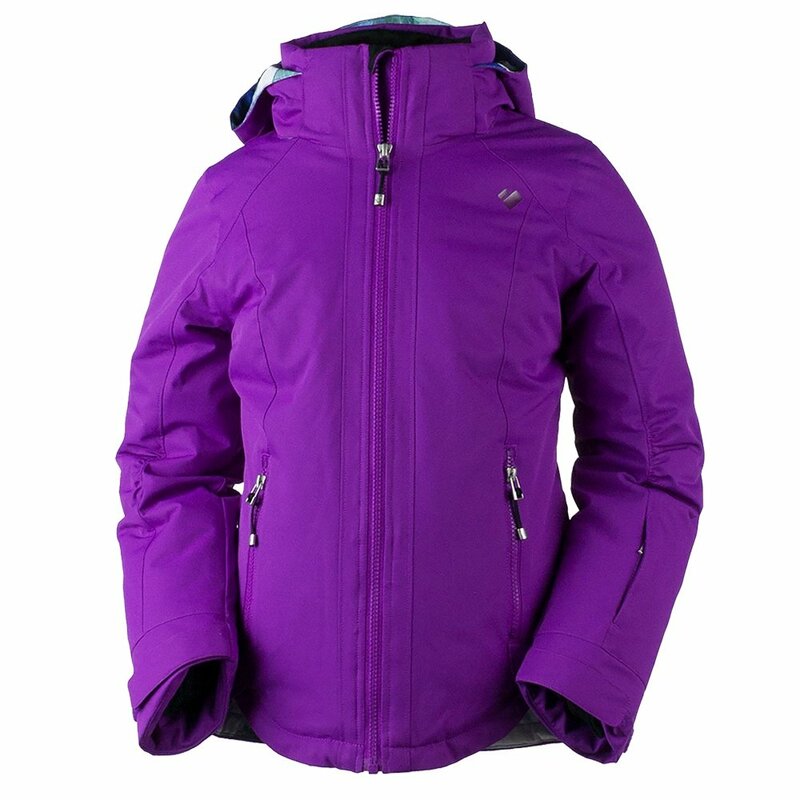 "Does the Obermeyer Kezie Ski Jacket (girls) have pit zips? " "Thank you for your inquiry. Unfortunately, the Obermeyer Kenzie Ski Jacket does not have pit zips. We hope this information helps ! " This was definitely a purchase I would recommend. My daughter is 9 and wears a size 8/sometimes 10 in clothes. I purchased the size S and the fit is perfect. She won't wear anything bulky. She loves this jacket. All the extras are nice too! She will wear this next season as well. The black is perfect and matches everything.